Sir Ronald Ross (1857-1932) is one of the best known names in the study of malaria. His work allows us to understand how malaria is transmitted to humans by a malarial parasite carried in the gastrointestinal tract of the Anopheles mosquito. He was awarded the Nobel Prize for Medicine in 1902 for his contributions to the malariology, and his work in malaria is generally held to be the crowning achievement of his career. Sir Ronald was also a true polymath in possession of a great mind which was only partly occupied by malaria research. He was also a published novelist, a poet, an advocate of spelling reform, an artist and a mathematician. For our latest exhibition, we had a look through the College’s Ross Collection and selected some of his work from outside the field of malariology. The Ross Collection makes up about half of the papers of Sir Ronald Ross (the other half is known as the Ross Archive, held by the London School of Hygiene and Tropical Medicine) and includes items covering Ross’s works in medicine, mathematics, literature and spelling reform, as well as his time at the Liverpool School of Tropical Medicine, the War Office and the Ross Institute. Ross meticulously collected and organised almost all of his correspondence, notebooks and works in progress, as well as press clippings about his work and other ephemera, so the Ross Collection is one of the largest archives held by the College. Despite his contributions to medicine, Ross’s primary pleasure in life was literature, and he expressed regret in later life that he had devoted so much time to medicine at the expense of his true passion. He wrote a number of novels, mostly during his spare time while working in the Indian Medical Service. His first novel, The Child of Ocean (1899) is described as a romance and a later book, The Revels of Orsera (1930), is a fantasy novel which still has something of a cult following today. 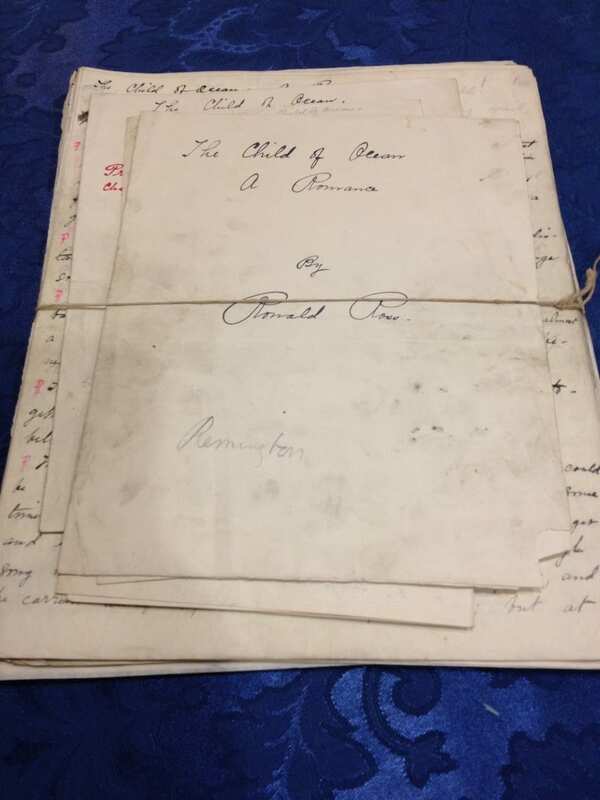 Manuscript drafts and notes for both editions of The Child of Ocean, plus another unfinished draft for a novel, can be found in the Ross Collection. 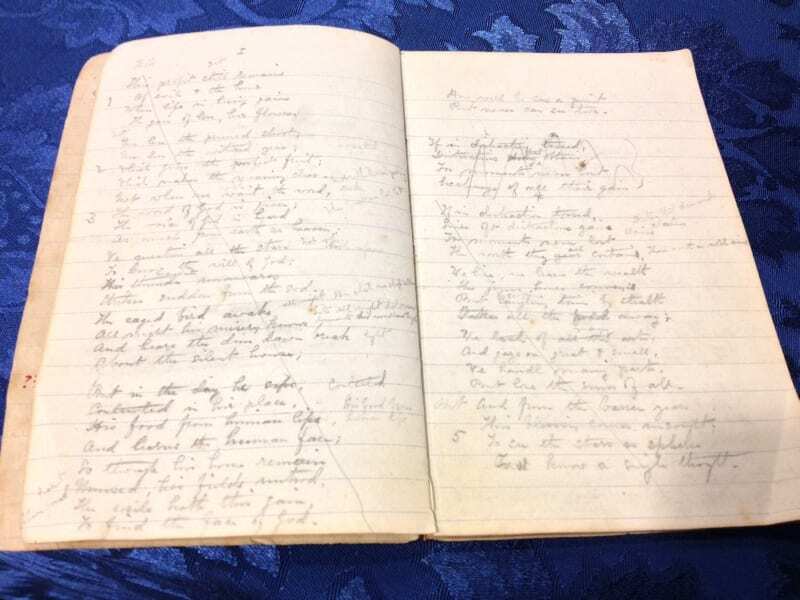 Ross wrote a large number of poems, many of which remain unpublished and can only be found in manuscript form in the Ross Collection. Of the ones that were published, the majority are collected in Selected Poems (1928) and In Exile (1931). As with his novels, Ross kept all the different drafts and versions of his poetry, filling dozens of notebooks in the collection. Below you can see some early versions of poems that were eventually published in the collection Lyra Modulata (1931). Ronald Ross had a wide range of interests outside medicine. One area in which he was particularly interested was spelling reform, and he made a number of attempts to develop simple phonetic spelling systems. The most noteworthy of these attempts were known as Aesthetic Spelling, Musaic Spelling, and Simplified Spelling. Ross would often use famous pieces of literature, particularly well known poems, to demonstrate his alternative spelling systems. Indeed, his system of Musaic Spelling was designed specifically for use in poetry. Here is Thomas Gray’s Elegy Written in a Country Churchyard rendered in Ross’s musaic spelling, with the original text for comparison. Although Ross was awarded the Nobel Prize for his work on malaria, he considered his work in mathematics (particularly epidemiological mathematics) to be of even greater scientific importance. He published 5 short books on mathematics, and the Ross Collection includes a large number of notebooks filled with equations and notes on maths. His greatest contribution in this field was probably to do with pathometry (a word apparently invented by Ross to indicate the mathematical study of epidemics and the progress of diseases). In 1916 Ross was given a government grant of £150 to hire a mathematical worker, and the pair worked on a three part paper to be published in the Proceedings of the Royal Society. The paper was eventually published as a standalone pamphlet, entitled A Priori Pathometry. A bundle of notes and a few different working copies and drafts of this publication can be found in the Ross Collection. Items from the Ross Collection are on display in Crush Hall until 9th May. This area and the Library Reading Room are open to members of the public on Monday afternoons from 2pm to 5pm, and visitors are welcome at other times by appointment. 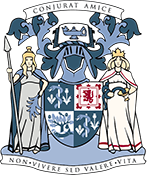 For more information, email us at library@rcpsg.ac.uk or telephone 0141 221 6072.